This amazing footage shows nearly 500 manatees seeking warmth from the cold. When temperatures along Florida’s Gulf Coast dipped below 50 degrees, the sea cows crowded into the Three Sisters Springs, which has had to be periodically closed due to the endangered animals. Their presence, however, drives even more visitors hoping to get a glimpse of their impressive bulk, which can reach 1,300 pounds. 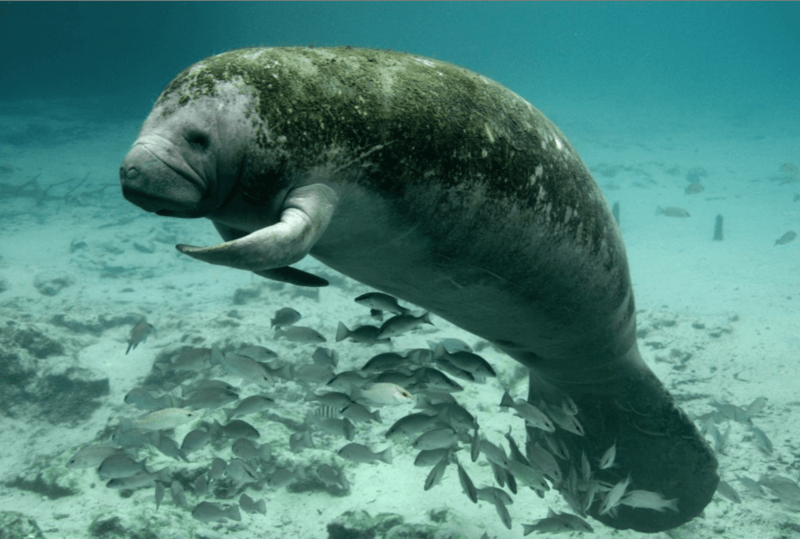 It might sound cozy, but cold-weather is a serious threat, and is a leading cause of death for these West Indies manatees. Things are looking up for the big fellas though, the U.S. Fish and Wildlife Service announced in January a proposed down-listing from endangered to threatened status under the Endangered Species Act (ESA). A recent record minimum count of 6,250 manatees has been recorded by The Florida Fish and Wildlife Conservation Commission during their annual survey of the state’s waters – this easily beats the last record of 5,077 in 2010. We are hoping for a success story for the big sea-cows, having been declared a U.S. federally endangered species in 1966, their recent recovery is likely due to decades of conservation efforts. To read more about this go here. The black mamba is widely considered the world’s most deadly snake.